Thank you for your interest in this project! Each participant will receive a credit in the film, and a free pass to the New York City première. 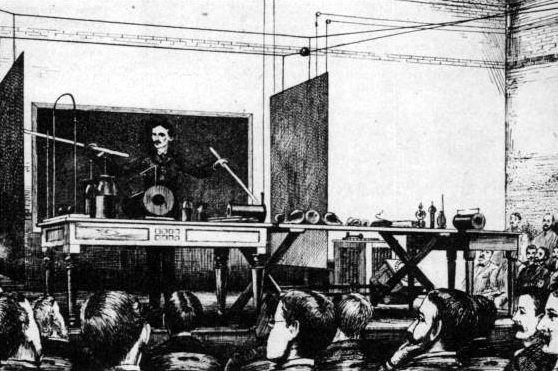 Nikola Tesla delivers a lecture before the American Institute of Electrical Engineers at Columbia College, 1891. The stage from which he speaks is illuminated with brilliant displays of gas-filled tube lamps. He describes his most recent research into the nature of electricity with demonstrations of the luminous effects of light. His audience is spellbound. In general the dress code is white shirts, ties in conservative colors, black, gray or brown suit jackets, vests and pants, and dark brown or black casual or dress shoes. No t-shirts, jeans or sneakers. Hats won’t be on inside the lecture hall but could be placed on your lap and canes next to the seat. It is not necessary to be literal, but to wear clothing from the present that would not seem out of place in 1890s New York. Other important characteristics are short hair, clean shaven, mustache or beard. For more information and pictures of men’s fashion from the late 19th century, continue reading below. 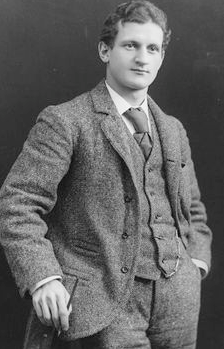 Early 1890s fashion includes gray coat with covered buttons and matching waistcoat, dark trousers, short turnover shirt collar, and floppy bow tie. The short hair and pointed beard are typical. The overall silhouette of the 1890s was long, lean, and athletic. Hair was generally worn short, often with a pointed beard and generous moustache.